thick chunky aspect, scrolled armrests and leg supports and gently contoured seating area the Hyde Park design is instantly recognisable. The back section itself is also slightly angled giving it that all round comfort. Hyde Park design lends itself to commercial spaces such as parks and general public areas. Practically, the large flat strips that the whole unit rests on when in-situ give it a stable aspect even on uneven or softer surfaces. This also makes it great for the use of bench anchor kits another popular and, unfortunately, necessary addition in many commercial environments. Oak is synonymous with that English countryside environment. 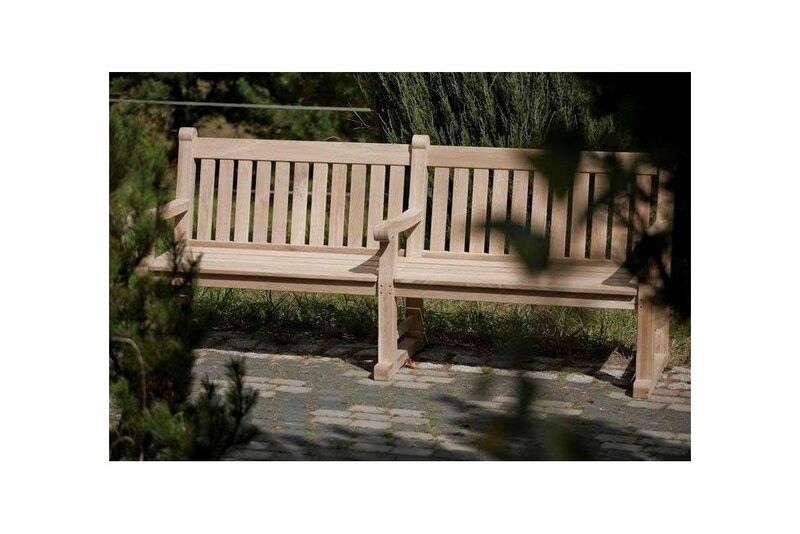 Many benches in commercial spaces have a memorial engraving associated with them and the wide back piece here lends itself to this. Genuinely hand finished in pre-treated, solid oak with a chunky robust finish. Mortice and tenon joints are used further reinforced with oak dowels making it perfect for regular use outdoors.